Of all of the music that Hagar has made post-Van Halen, ‘Big Foot’ flies closest to the much-loved Van Hagar sound that he employed so successfully during his tenure with the group. The full disc hits stores September 27 and there’s talk of a tour starting in November. With drummer Chad Smith returning to the Red Hot Chili Peppers – who have their own album and tour to do – Chickenfoot is in the process of auditioning some players to see who can fill Smith’s shoes in his absence. Chickenfoot fans are expecting the new single from the band’s sophomore album, “Chickenfoot III,” sometime this month…but the band has jump-started the anticipation by sharing a short tease of something from the new disc. The :33 clip doesn’t give up much – there’s only a hint of Sammy Hagar’s vocals to be heard – but the music sure does sound like the ‘Foot. 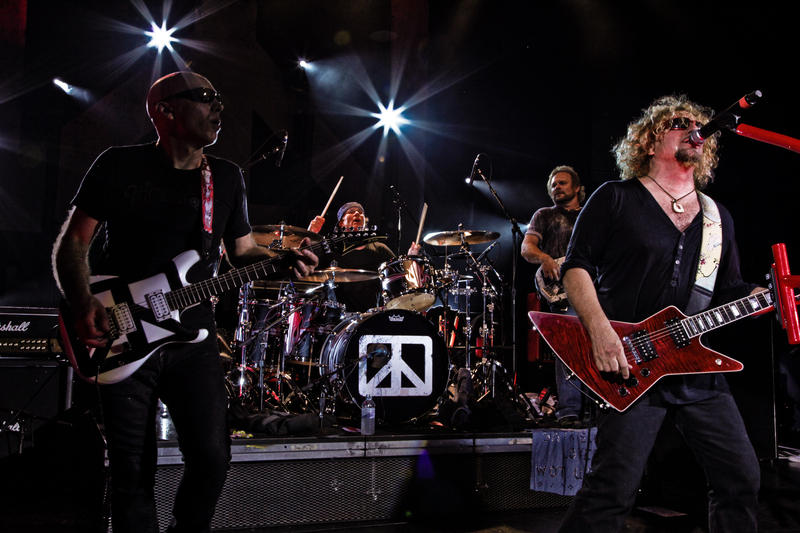 Earlier this week, Chickenfoot announced a new, exclusive deal with eOne Music to distribute the record in North America.